Open last weekend in April through 50's weekend in October. 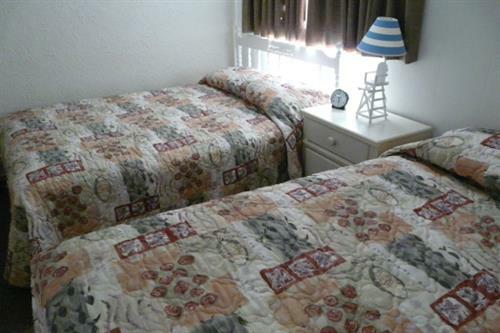 Open 8:00am to 10:00pm each day. 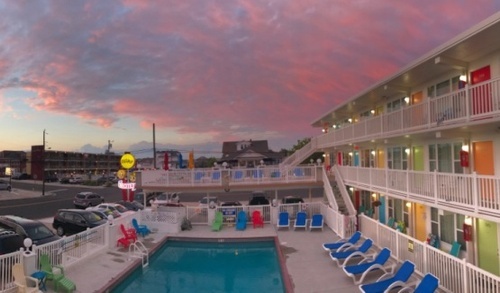 The Lollipop Motel has always been part of the Doo Wop Era in the Wildwoods. 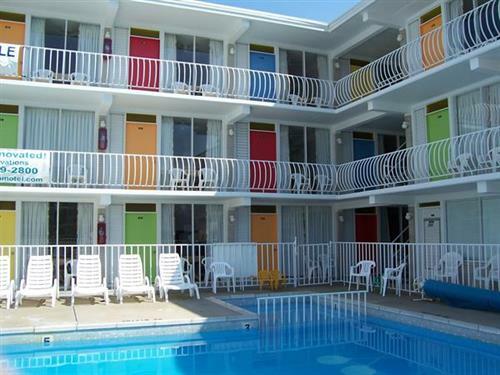 We have endeavored to maintain the Doo Wop concept while modernizing our amenities. 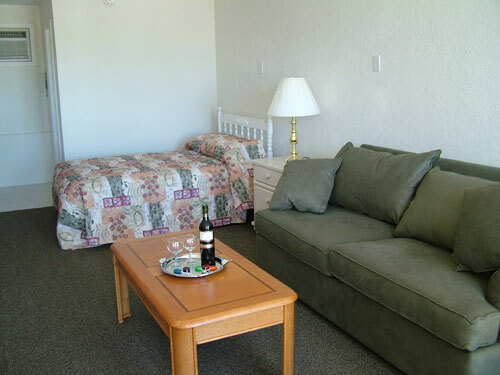 We offer our guests clean one-room studio efficiencies and two-room efficiencies. 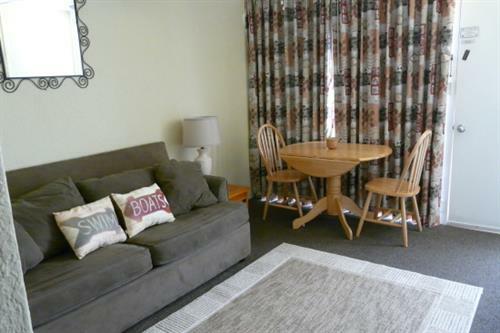 Two-room efficiencies have a 2nd television in the bedroom. 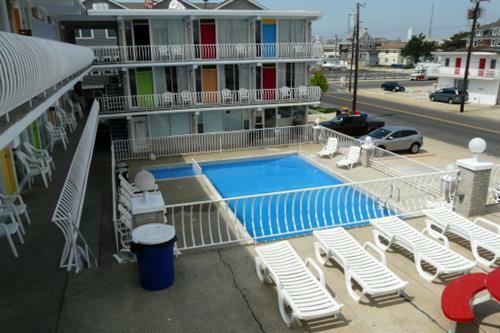 We are 1 1/2 blocks from the beach & boardwalk. 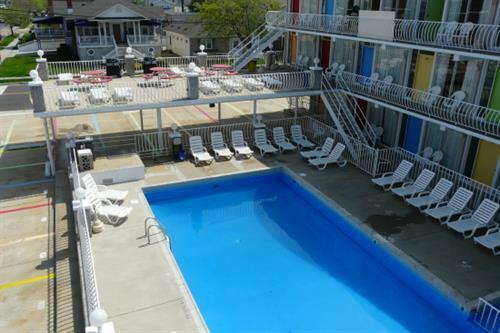 We have a large sundeck with BBQ grills, pool, guest laundry and free ice.